The actual raincoats are yellow and blue. There are six colors for a raincoat ball. 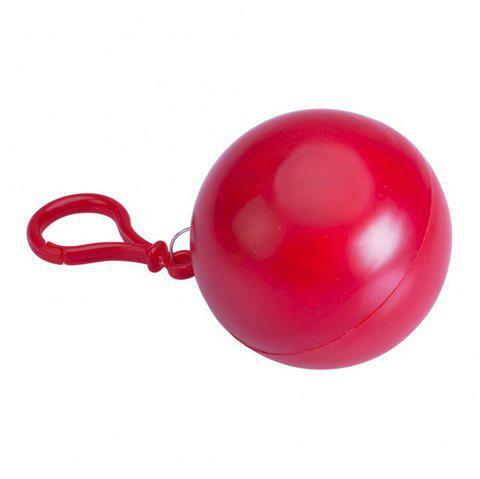 Compact and lightweight, it is folded into its own ball shape key ring with carabineer hook and can be kept in your bag or car ready for our unpredictable weather. A perfect choice for all outdoor activities such as football, camping, walking, and general days out. Made from a vinyl plastic it can be used several times if careful with it. Great to keep hooked to your handbag, bike or buggy in the event of rain. There is 2-3 difference according to manual measurement.